IT was apt that Elisha Lang was tasked with singing Metallica’s ‘Nothing else matters’ in the most recent episode of Spanish hit TV show La Voz Kids. 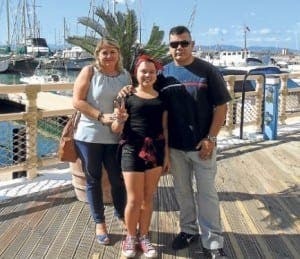 Because when this 12-year-old girl opens her mouth and sings, the politics over whether she is Gibraltarian, Spanish, English or otherwise really don’t matter. With her breathtaking voice, nothing else matters. She will surely go far in life, irrespective of this particular competition. And that is something Gibraltar can be immensely proud of.